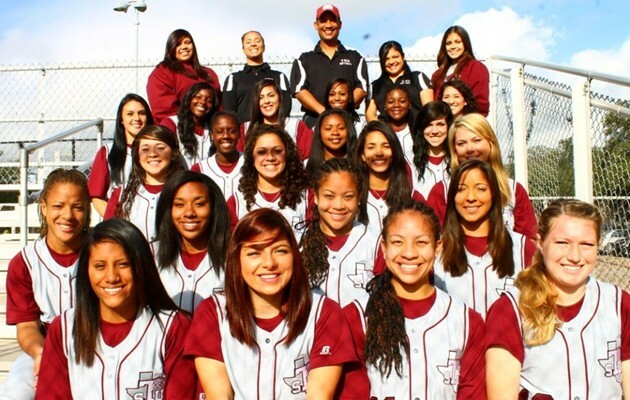 HOUSTON – The Texas Southern Lady Tigers softball team picked up two non-conference wins on Saturday at Memorial Park as they improved their overall team record to 11-5 for the season. Texas Southern defeated the Northwood Lady Knights 5-2 and 3-1 behind impressive pitching performances from both starters. In game one of the doubleheader TSU fell behind 2-0 in the top of the fourth inning before putting up their first score of the contest in the bottom half of that same inning cutting into the Lady Knights lead at 2-1. A three run fifth inning along with one run in the sixth gave the Lady Tigers all the runs they would need to secure the win. Danielle Salazar drove in two runs while fellow teammate Thomasina Garza and Jasmine Hutchinson collected one RBI each. Rebecca Villarreal went the distance for Texas Southern as she pitched seven inning allowing five hits and two earned runs while facing 27 batters striking out a total of nine. Jeneice Tillman started inside the circle for the Lady Tigers in game two as she pitched seven innings allowing no earned runs and just five hits while striking out five batters. Haley Smith, Chelsea Guenther and Hutchinson each collected RBI as Hutchinson went 2-for-2 with Guenther going 1-for-1 while pinch hitting for the Lady Tigers. Texas Southern will return to game action on Saturday, March 16 as they host Bucknell at Memorial Park in a doubleheader at 12:00 and 2:00 pm.